Like any other social media platform, it’s important for Instagram to stay ahead of the game, especially with so many other image sharing social media apps competing for the number one spot. Thus, Instagram has been making a number of interesting changes over the course of the past few months, with many of these changes intended to give users more freedom over their Instagram accounts. Back in the summer, Instagram launched Hyperlapse, which was a separate time lapse app under the Instagram brand. Hyperlapse itself was updated to include a ‘Selfielapse’ mode in September, allowing users to do the same things with the front-facing camera. 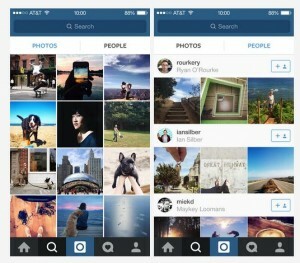 More recently, Instagram made some changes to the actual Instagram app itself. One new addition to the application is the inclusion of a “People” Explore tab that can be used to discover interesting new Instagram accounts to follow. The tab is personalized based on who you follow and the things that you like on Instagram. Another well-received feature that Instagram has added recently would be the ability for users to edit image captions, which wasn’t available until last week, despite it being one of the top requests from the Instagram community. Not every change to Instagram has been received so positively, however. In particular, Instagram launched their first video advertisements this month. Ads are important for the monetization of major social networks, but many people believe that social networks are particularly affected by video advertisements in a negative way, as they can be distracting and obnoxious. Through the good and the bad, however, Instagram is proving that it is able to change and evolve just like any other social network. These days, many people find themselves with profiles on many different social networks: one person alone might have separate Facebook, Twitter, Snapchat, LinkedIn, and Instagram accounts, on top of plenty of others. As these social networks continue to grow, some app developers have been trying to find ways to make it easier to combine all the functions of these social networks into one consolidated application. This is something that has been handled in different ways, depending on the app. Many of these apps work directly with existing social networks. For example, Snowball is an application that allows Android users to have a universal inbox for different messaging clients. This way, users are able to view all of their messages on one simple home screen. The app includes messages from Facebook Messenger, Twitter, WhatsApp, Snapchat, Google Hangouts, and more, as well as including basic text messages in the mix. Comparatively, on iOS, an application called Accounts has been launched, which is more of an attempt to create a universal address book. It pulls from Facebook, LinkedIn, Twitter, Reddit, and more and attempts to aggregate these accounts to make things easier for its user base. 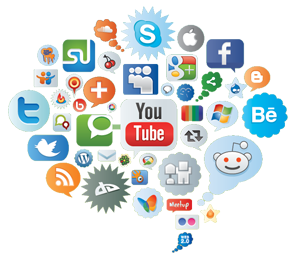 Other new applications seek to enhance the features of your existing social media apps. For instance, Xpire is an app for iOS that’s focused on the ephemerality of all of your social networks. It aims to allow your Facebook, Twitter, and Tumblr posts to effectively self-destruct in the same way that Snapchat automatically allows you to. This app also has other features, such as allowing users to determine how much inappropriate content appears on their Twitter account (which may lead users to want their tweets to be a bit more ephemeral). Still others are trying to launch mobile apps that will work as replacements for other social media apps, by offering multiple features all in one. One notable instance of this would be Selphee, an app that has been billed as Snapchat, Instagram, and Vine combined. Even Selphee, which features all of these functions, still allows users to share photos and videos through existing social networks, however. Each new app appears to be one step closer to our social networks being nearly interchangeable and smoothly working together as cogs in a social media machine. The nature of social networks, likely due to their easily-bored user base, is to constantly be changing and evolving, in an attempt to provide users with the most intuitive design and the most useful features. Over the past few months, Twitter has made a number of relevant, interesting tweaks to their interface for these reasons. Back in June, they announced a small but well-received change that allowed the social network to support the sharing and viewing of animated GIFs on Twitter’s website, as well as on Android and iOS platforms. Then in September, Twitter announced that they would be adding a “Buy” button, which would allow users to make direct purchases from tweets. Users can easily hit the button, enter their billing and shipping information, and complete a transaction in only a few taps on their phone. They have partnered with a number of artists, brands, and charities that will be able to sell products with this button; the list will be expanding as time goes on. 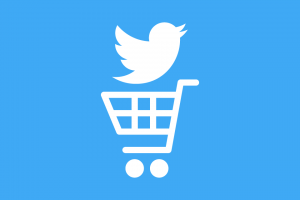 This is Twitter’s first dive into a commerce-related situation, something that Facebook has had available for quite some time. Most recently, Twitter managed to find another way to do something similar to Facebook. In an effort to make it a little bit easier to tweet on Twitter.com, Twitter moved their “what’s happening?” box, where you can enter a tweet, to the top of users’ home timelines. It was previously available on the left-hand side, but Twitter determined it would be easier for their users to tweet in this new location. A number of social media bloggers have noticed that this movement makes Twitter look a whole lot more like Facebook, which also features its status bar in the same place.